Michelle Renee Hiatt is an award-winning Quilter, Designer and National Instructor. Michelle has been sewing since before she can remember, and fell in love with quilting over 20 years ago. 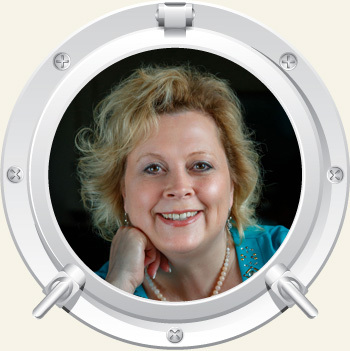 She is a certified Professional Process Expert (LSSMBB); she uses her process improvement techniques and applies them to her quilting and teaching others how to simplify their piecing while improving the quality of their quilt making. 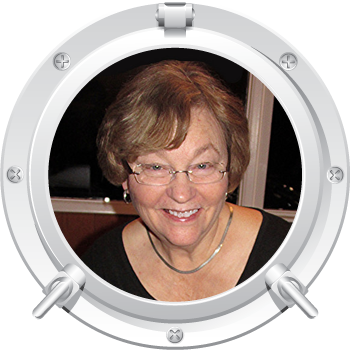 She teaches throughout the United States at National Quilt Shows and Retreats and is knows for her humor, enthusiasm and encouragement! 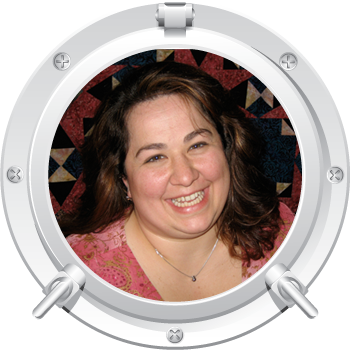 Michelle is the designer for her own pattern line Sew On The Go and her designs have appeared in several international Quilting Magazines. Additionally, she is a Certified Instructor for Studio 180 Design and many of her patterns have been published in their Modern 180 pattern line. 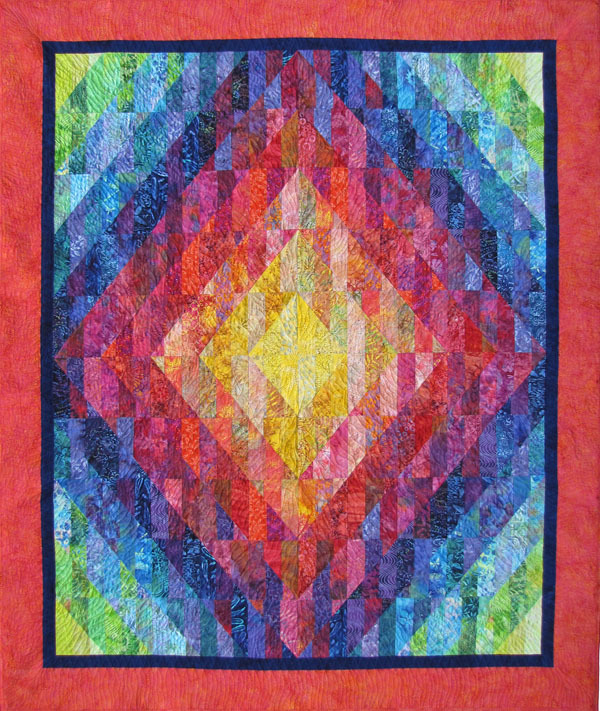 Strippy Double Diamond is one of those quilt designs that looks really complicated but is really, really simple to put together. Basically use of color is what is important in the design as it is made using rectangles that are cut in half, rearranged, and sewn back together. This pattern design is by Carol Morrissey and will be taught by Sandra Coffey who will both entertain and educate you as we sail around the glaciers! 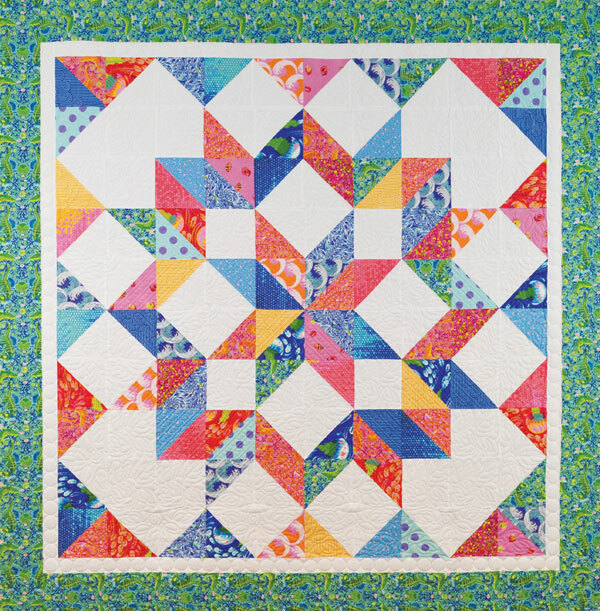 A quick and easy summer Carpenter Star that is a great use for those scraps, charm squares, 6” Strips, layer cakes, fat quarters, or yardage you have been collecting. 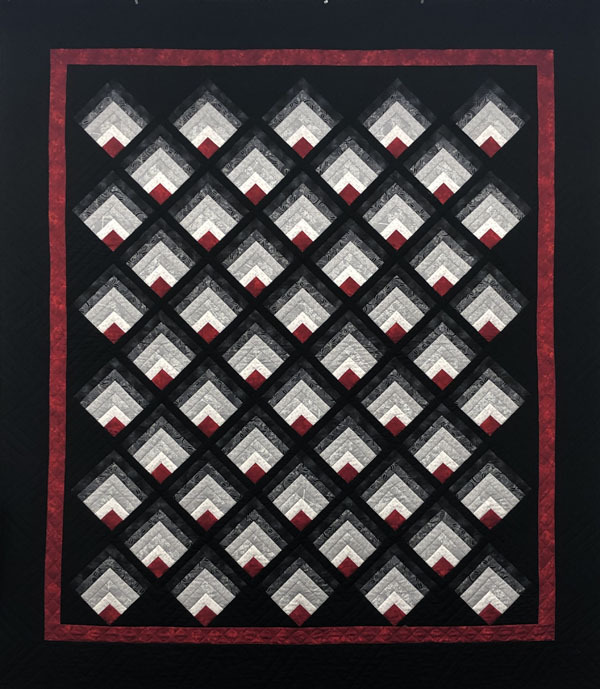 Moondance is a Deb Luttrell original pattern that uses a nice blend of fabrics from light to dark with a focus contrast color. In this project you will learn just how wonderful the Log Cabin Trim Tool by Creative Grids Rulers is for making the blocks. Once the blocks are made they are set on-point. No seam matching is required until the blocks are set together. The ruler is optional but recommended for the project. Finished size: 72 1/2" x 83 1/2"
Our incredible Sail 'n Sew fabric pack includes all of the fabrics and patterns for your projects and they are pre-cut so all you need to do is sit down and sew! 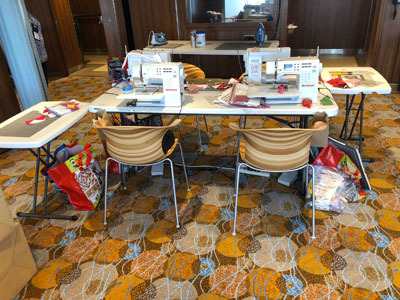 The price of the Sail ‘n Sew fabric pack is $430.00 and it includes the pre-cut fabric for all three of the projects for this cruise. 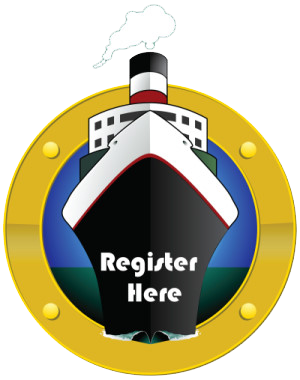 If you would like a Sail ‘n Sew pack, just let us know when you make your Reservation and we'll have a kit waiting for you on the ship. Order early as supplies are limited. If you choose to bring your own fabric, please bring it pre-cut and ready as we do not allow time for cutting during class. You will find the cutting instructions in each pattern that can be ordered here: Strippy Double Diamond, Summer Star, Moondance.